You'll discover tucked-away gems like Horseshoe Bay and Aldinga Beach. 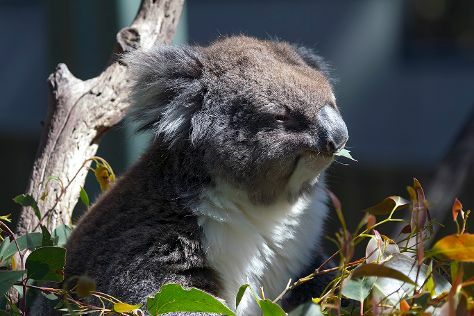 Escape the urban bustle at Gorge Wildlife Park and Monarto Zoo. Explore Adelaide's surroundings by going to McLaren Vale (Fox Creek Wines & Wirra Wirra Vineyards). There's much more to do: enjoy the sand and surf at Henley Beach, wander the streets of North Terrace, tour the pleasant surroundings at River Torrens Linear Park Trail, and take the plunge with a skydiving experience. To find other places to visit, where to stay, and more tourist information, use the Adelaide trip planner . Sydney to Adelaide is an approximately 4.5-hour flight. You can also drive; or take a bus. Plan for little chillier nights when traveling from Sydney in December since evenings lows in Adelaide dip to 17°C. Finish your sightseeing early on the 21st (Fri) so you can travel to Townsville. On the 22nd (Sat), look for all kinds of wild species at Billabong Sanctuary and then don't miss a visit to Riverway. On the next day, browse the exhibits of Perc Tucker Regional Gallery, then take an in-depth tour of Museum of Tropical Queensland, and then make a trip to Jezzine Barracks. For maps, other places to visit, reviews, and tourist information, read our Townsville day trip planner. Traveling by flight from Adelaide to Townsville takes 8 hours. Alternatively, you can drive; or take a bus. Plan for a bit warmer temperatures traveling from Adelaide in December, with highs in Townsville at 37°C and lows at 28°C. Finish up your sightseeing early on the 23rd (Sun) so you can travel back home.